Here's some of our must-drive scenic routes through the months of September, October and November. Grab your chai-pumpkin-spiced-latte drink thing, a sweater, and your camera. It's going to be awesome. Follow I-84 southeast from Ogden to the Morgan exit. Take UT 66 south to East Canyon State Park and UT 65. Continue south on UT 65 along Pioneer Memorial Highway to I-80. Take I-80 west to Salt Lake City. This route connects Bountiful and Farmington on unpaved roads in the Wasatch-Cache National Forest. You can take the Lagoon exit in Farmington, head east to Main Stree and then stay on 600 north, and ends at 100 East. Merge onto Farmington Canyon Road. This is a Salt Lake area version of tour #3a 25-mile loop tour along I-80 and Emigration Canyon. Near the entrance to Emigration Canyon, you'll pass by two landmarks: Hogle Zoo and This Is The Place Heritage Park. Other nearby sites: Fort Douglas (site of Olympic Village during the 2002 Olympic Winter Games) and the University of Utah. Option: follow I-80 east to Park City. Same directions to Big Cottonwood Canyon (preceding tour). 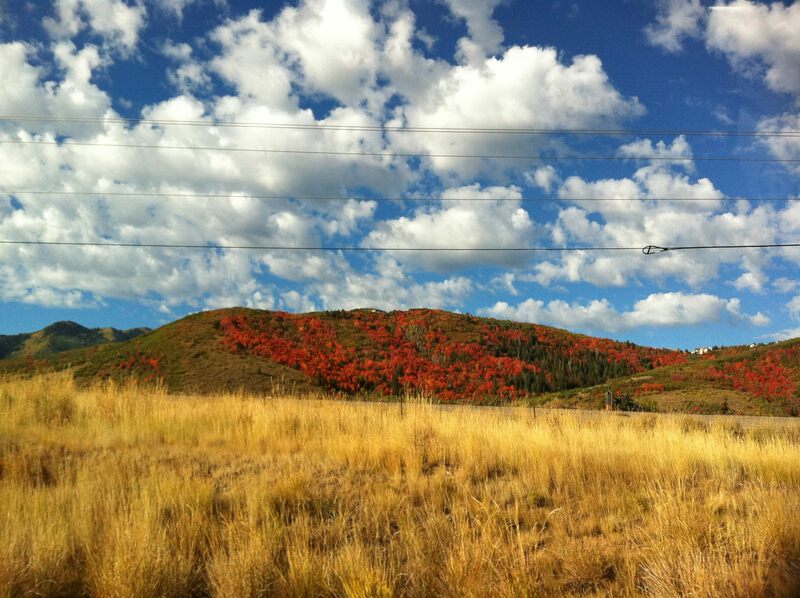 Just below the village of Brighton, take the Guardsman's Pass road over the mountain to either Park City or Heber. Look for the signs. You'll make a left turn just after Solitude Resort. This 40-mile drive on UT 153 connects Beaver and Junction, Utah, through the southern end of the high Fishlake National Forest. Take UT 128 east from Moab for 16 miles along the Colorado River. Then turn right (southeast) onto County Road 73 that leads into Castle Valley. As you proceed through Castle Valley, you'll ascend into the Manti-LaSal National Forest. Although this route is paved, it may be temporarily impassable in case of snow. Due to several hairpin turns, parts of this route, particularly on the Castle Valley side, are unsuitable for large RV's, large motorhomes and large trailers. Top regional destinations include Canyonlands National Park, Arches National Park, Dead Horse Point State Park. On the return trip from Indian Creek Scenic Byway (previous tour), three miles east of the 'switchbacks' and eight miles from the junction with US 191, you come to the junction of the Harts Draw Road. Turn south and start an easy climb on this paved two-lane road into the Manti La Sal National Forest. Posted in Fun in Park City, Outdoors | 0 Responses to "FALL COLORS SCENIC DRIVES by Utah.com"